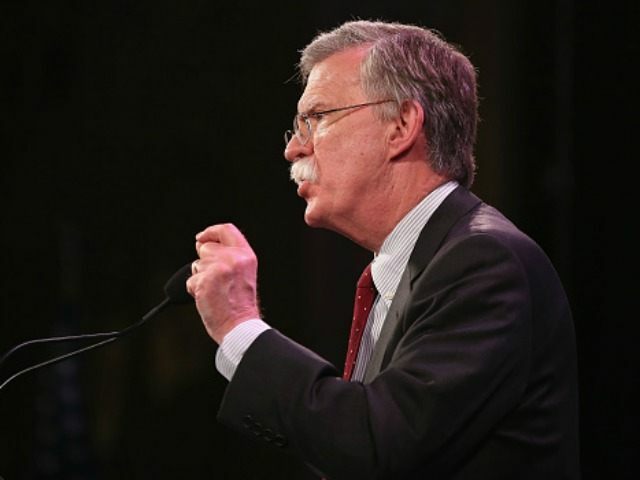 Bolton, who is also a senior fellow at the American Enterprise Institute, elaborated on the threat that radical Islam and political Islam pose to the United States of America, Europe and the whole of Western civilization. In doing so, he explained the propaganda inherent in the term “Islamphobia,” and dismissed the “lone-wolf” concept of radical Islamic terrorism. On a serious note, Bolton said: “All of our adversaries, and even our friends, are appalled by what they’ve seen. And the abandonment of our decades-long, bipartisan policy of not negotiating with terrorists. But it was all part of the nuclear deal.” He predicted there are many more surprises that will come up. Bolton also explained that the “nature of the threat here is extraordinarily broad” and that “it has been growing” because in the last eight years it has faced “no effective American opposition whatsoever.” That unfettered dynamic has resulted in a nuclear arms race in the Middle East. “Turkey and the Saudis and Egyptians, and likely other governments throughout the region, have also embarked on their own nuclear programs missions,” he said. Bolton explained that individuals who do not wish to have a clear understanding of the true nature of radical Islam are “quick to obscure” it. “It’s a struggle for how the religion is perceived around the world,” Bolton noted. He pointed out that Muslim leaders like King Abdullah of Jordan and Egypt’s President and former military general Abdel Fattah al-Sisi have called for a transformation within Islam, going so far as pointing out that this is a civil war that must be embraced and led by the people themselves.